Hortons are pleased to offer this beautifully presented five bedroom detached family home, located within the grounds of prestigious Scraptoft Hall in Scraptoft. The property was built as part of a select development by Davidsons. The property is in a fantastic position overlooking a green and small lake. 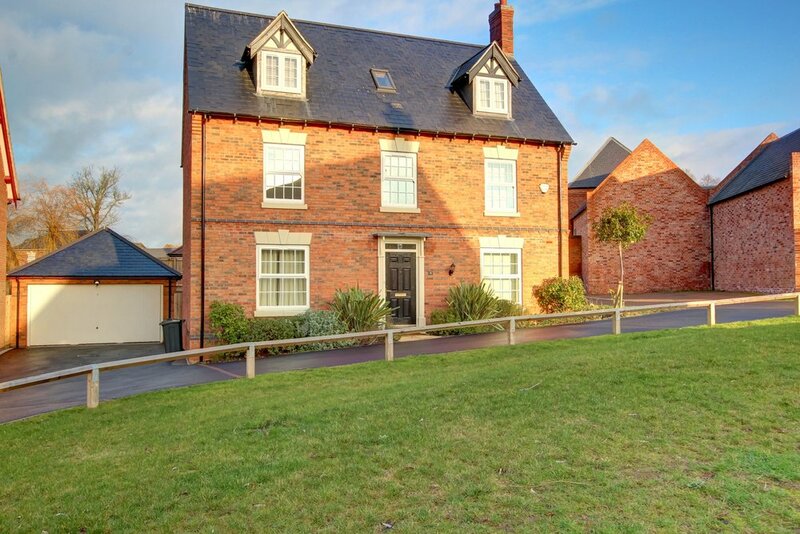 Scraptoft is a popular village in Leicestershire, located 6 miles east of the city centre; providing good access to the city, whilst also being on the doorstep of some of Leicestershire's finest rolling countryside. Scraptoft is also close to the A47, which provides easy access to routes to the market towns of Market Harborough, Uppingham, Oakham and Melton Mowbray. The property is in catchment for Fernvale Primary School, which filters into the highly regarded Gartree High School and The Beauchamp College in Oadby. The village also offers a public house, Co-operative supermarket and a newsagents.